Start supplementing your dog’s diet today with the best glucosamine for dogs. These 5 products will boost your dog’s quality of life and improve their health. Every dog owner has a similar mentality at heart: they want the best for their dogs! When you own pets, I can attest to the fact that you will do basically anything to keep them healthy, happy, and living well. One great way to help aging dogs out is to give them glucosamine supplements, which are known to reduce joint pain. Glucosamine is naturally found in your dog, but production levels slow over time. Giving them a quality supplement can help lubricate and protect joints, easing pain levels. The best glucosamine can be found in our glucosamine for dogs reviews below. Let’s take a look! This soft chew supplement comes in a treat-like form. It will entice any dog to munch on and enjoy this extra dose of glucosamine! 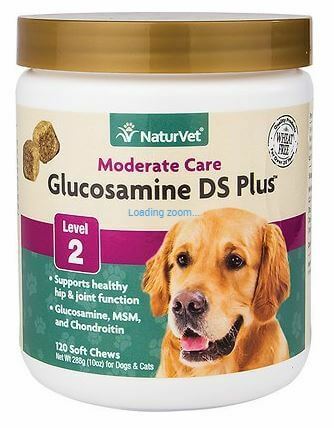 NaturVet may be the best brand of glucosamine for dogs. They offer a balance of high-quality supplements to give the right amounts of glucosamine, MSM, and chondroitin for your dog. Give this supplement regularly to any dog with arthritis, hip dysplasia, or other joint pain. 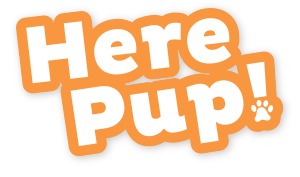 You will notice a big difference in your pup’s energy levels and how well they can play or walk around! This is another solid choice. These chews are also created with a blend of glucosamine, chondroitin, and MSM. These three ingredients help support healthy hips and joints in your dog. One of the best ways to use this particular supplement is as a preventative supplement. If your dog is at risk for hip dysplasia, joint conditions, or very active, start giving this to your dog regularly to fight joint pain before it begins. ​Whether your dog is limping from arthritis pain or just getting older, this supplement will keep them as active and playful as they were a few years ago. These treats made by Spot Farms are one of the most healthy glucosamine treat supplements you can give your dog. And, they’re made with great care! 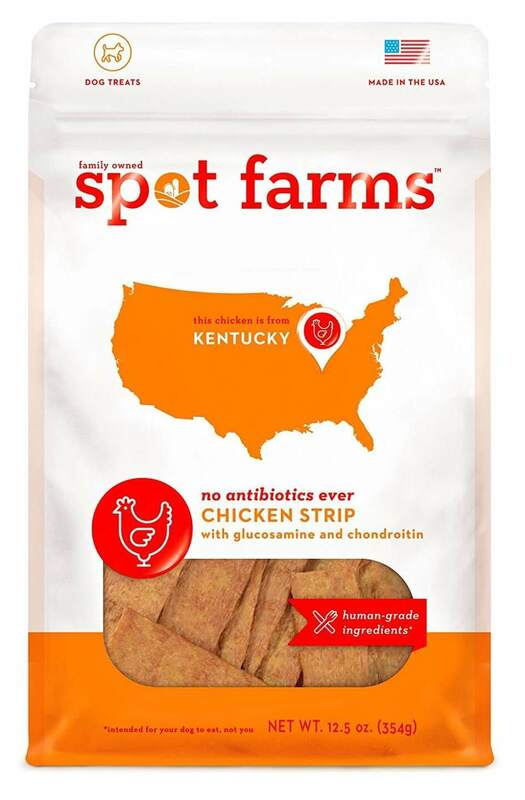 Spot Farms partners with family farms across the country to use regionally grown chicken, turkey, and pork raised without antibiotics in their food. This means their treats are full of high-quality ingredients and no preservatives. 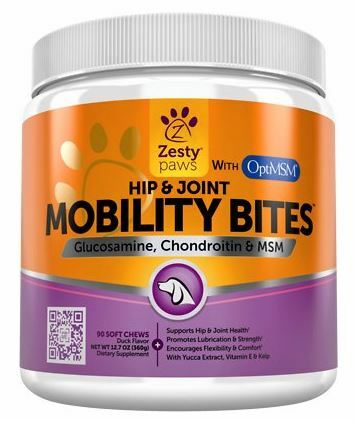 This specific formula is made from Kentucky-raised ingredients and is made from chondroitin and glucosamine to help maintain healthy hips and joints. It also includes turmeric, which reduces inflammation. Give your dog something delicious that will also help them maintain healthy hips and joints. This supplemental treat from Spot Farms is a really good choice. 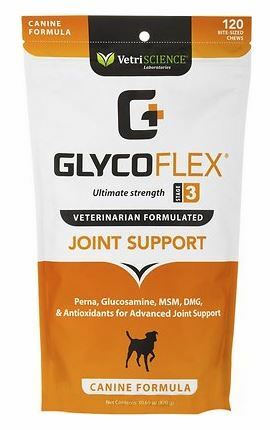 The VetriScience GlycoFlex Stage III Ultimate Strength Joint Support Bite-Sized Dog Chews are a formula made specifically for very active dogs that need to maintain their condition or aging dogs who are already seeing the effects of joint damage affect their lives. It’s also great for dogs who have undergone orthopedic surgery. VetriScience has three different stages of joint support chews; this is the highest level of support they offer, so it’s the most intense supplement. These specific chews are proven to increase hind leg strength in dogs by up to 41% in 4 weeks. If you have a dog that is really feeling the effects of a lifetime of play or work, help them feel better with these bite-sized dog chews. The final option I’d like to share with you today is the Pure Paw Nutrition Premium Dream Glucosamine Dog & Cat Liquid Supplement. This supplement is unique because it is liquid. You might be wondering: how do you use a liquid glucosamine supplement? Simple! You just add the recommended amount to their food. The bacon flavor will entice dogs to eat their food, and they won’t know that they are enjoying the effects of a great supplement. This makes the liquid supplement great for those that have dogs that don’t like to eat medicinal supplements because of its great flavor. On top of including glucosamine, MSM, and other cartilage building ingredients, this particular blend also boosts the amounts of hyaluronic acid, CoQ10, vitamin C and vitamin B complex that your dog gets every day. 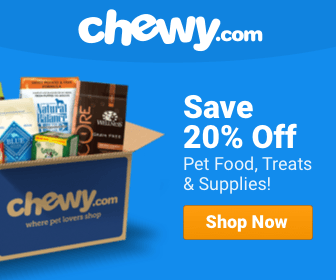 Invest in the best glucosamine for dogs! If you haven’t yet considered getting a glucosamine supplement for your dog, it might be time. Consider if your dog’s joints are taking a lot of wear-and-tear every day, or if they are having more trouble with stiff joints than they used to. If you thought “yes” to any of these statements, it’s probably time to try glucosamine. Don’t worry - all of these glucosamine supplements for dogs will do a good job to protect your dog from further damage. 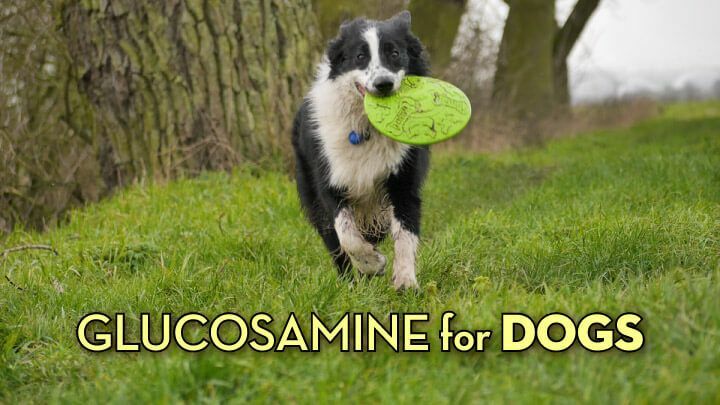 Do you give your dogs a glucosamine supplement? What are the results? Share your story with other pet lovers in the comments below!